The findings of a 2018 state audit has led to a felony embezzlement charge on a former mayor for the Town of Coyle. The Logan County District Attorney’s Office filed the charge on Tuesday against 54-year-old Kristie Ranee Schroeder. According to a court document, John Schroeder, husband of then Mayor Kristie Schroeder, was awarded the bid sale of a 2006 Ford Crown Victoria police cruiser for $20. However, the actual value was for $1,300. According to the audit report, on March 13, 2014, the Town Board voted to solicit bids for the sale of two police units. According to meeting minutes, the cars were to be sold by way of sealed bids. The board did not specify minimum bids for the police units. Although not required to do so, other vehicles previously sold by the Town through sealed bids did have minimum-bid requirements. The Board opened bids on April 10, 2014. 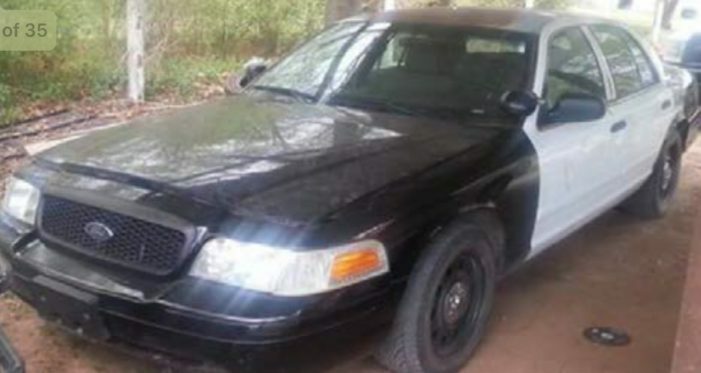 A 2005 Crown Victoria police unit, with 123,000 miles, was awarded to the only bidder for $505. The 2006 vehicle, with 114,505 miles was awarded to the only bidder, John Schroeder. The 2006 car title was not assigned to John Schroeder. Instead, Kristie Schroeder, in her capacity as mayor, assigned ownership of the car directly to a third party. The assigned title reflected a sales price of $1,300, the price for which John Schroeder sold the car. He initially advertised the car on Craigslist seeking $2,000, according to the audit report. In 2018, Schroeder told KFOR-TV that the transaction was within state law and just didn’t look good on paper. “There is a state statute stating that a town as small as we are, some of those rules that bigger cities have to follow are not particularly, or the way I understood it, are not applicable to us,” Schroeder told the OKC news station. A warrant for Kristie Schroeder’s arrest was issued on Tuesday for a $5,000 bond. Schroeder secured her bond Wednesday morning and is expected in the courtroom to be formally arraigned on Wednesday at 1:30 p.m.
Kristie Schroeder, who served as Coyle’s mayor for six years before resigning in 2016, requested the state audit, which allegedly found more than $17,000 was mismanaged, unaccounted for, or even stolen between July 1, 2014 to July 31, 2016. Full audit report on the Oklahoma State Auditor & Inspector website. • Clerk-Treasurer Kelli Evans received $1,727.90 in improper compensation by way of two extra payroll checks. • Payroll taxes were not withheld from payroll checks during a two-month period, which resulted in Clerk-Treasurer Kelli Evans and Mayor Kristi Schroeder receiving extra compensation of $285.08 and $11.48, respectively. • Between July 2014 and July 2016, the paychecks of Clerk-Treasurer Kelli Evans and water operators Chris Neilson and Israel Cummings were issued from one day to 21 days early. • Israel Cummings, the water operator, was paid $419.40 for accrued leave not allowed under the Town’s Personnel Policies and Procedures. • A change of pay periods for employees, from twice per month to biweekly, resulted in extra compensation for Clerk-Treasurer Kelli Evans and Water Operator Chris Neilson, of approximately $175 and $180, respectively. • Chris Neilson, the Town’s/CPWA’s water operator, co-purchased a truck from the Town, in violation of state law. • Bid documents were not kept on file for the sale of four Town vehicles, as required by law. • Receipts were not maintained for 72 of 118 debit card transactions totaling $9,420.98. • The Fire Department paid $958 for a December 2015 holiday party. • The Fire Department expended $738.54 for food and drink items with no documentation of a municipal purpose. • Eighteen of 25 debit card transactions reviewed were not supported by purchase orders. • Trustees occasionally signed or initialed blank purchase orders and checks. • The petty cash fund and the change drawer were comingled, and transaction and receipt documentation was not maintained, resulting in an inability to properly account for petty cash. Of the $2,252.50 of petty cash reimbursements between September 2014 and April 2016, supporting documentation could not be provided for $2,115.57. • The Town Board appears to have committed an act of nepotism by hiring Christie Calvert, sister-in-law of Trustee Grant Cummings, as the town clerk-treasurer. • Thirteen of 25 payments made to Whitnah Excavating, the vendor for water/wastewater services and mowing/landscaping services, were issued before the dates on the respective invoices. • Instead of issuing purchase orders for each individual purchase, the Town encumbered blanket purchase orders for the total amount of each category defined in the Town’s annual budget. • The Fire Department maintains a bank account outside of the authority of the Town, and not all financial activity of the Department was reported to, or approved by, the Board.